Sandra R. Brown has joined the firm as a principal after serving most recently as the First Assistant United States Attorney for the Central District of California. Ms. Brown’s practice focuses on individuals and organizations who are involved in criminal tax investigations, including related grand jury matters, court litigation and appeals, as well as representing and advising taxpayers involved in complex and sophisticated civil tax controversies, including representing and advising taxpayers in sensitive-issue audits and administrative appeals, as well as civil litigation in federal, state and tax court. From March 2017 to January 2018, Ms. Brown served as the Acting United States Attorney. In addition to leading the Central District of California’s United States Attorney’s Office, where she supervised approximately 270 attorneys in the largest Justice Department Office outside of Washington D.C., Ms. Brown also served as the Chief of the Tax Division for more than ten years where she supervised lawyers within the United States Attorney’s Office, the Department of Justice Tax Division and the Department of Treasury who were responsible for complex Federal civil and criminal tax matters, including related grand jury proceedings, trials and appeals. In her more than 26 years as a federal trial lawyer, Ms. Brown obtained a vast expanse and depth of experience in complex civil and criminal tax matters, having personally handled over 2,000 cases on behalf of the United States before the United States District Court, the Ninth Circuit Court of Appeals, the United States Bankruptcy Court, the United States Bankruptcy Appellate Panel and the California Superior Court. Those cases included nationally significant civil tax cases such as two Supreme Court decisions and a multitude of published 9th Circuit decisions, as well as a broad range of equally noteworthy criminal tax cases including the first of the recent FBAR prosecutions in California, one of the largest individual tax restitution judgments fully recovered in a criminal tax case prosecuted in this nation, and the unprecedented deferred prosecution agreement, resolving a criminal probe into an international bank’s worldwide U.S. cross-border business, requiring the bank to pay $270 million in restitution and fines and to provide details about employees and more than 1,500 U.S. customers. 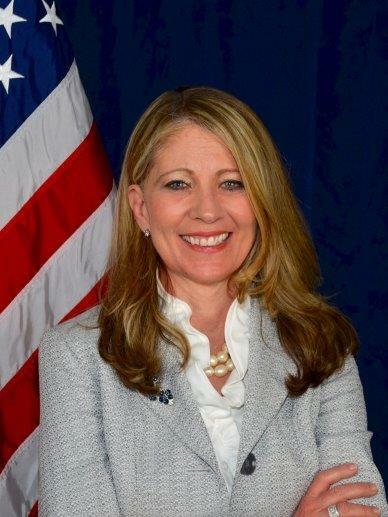 In addition to other honors, commendations and awards, Ms. Brown has received the Internal Revenue Service Criminal Investigation Chief’s Award and the IRS’s Mitchell Rogovin National Outstanding Support of the Office of Chief Counsel Award, respectively, the most prestigious criminal and civil awards available for presentation by the IRS to Department of Justice employees. Ms. Brown has written, lectured and taught federal prosecutors, agents and private practitioners throughout the country on topics involving trial strategies, taxation, bankruptcy and money laundering. Based upon the breadth of her expertise and experience in litigation and management, Ms. Brown is a highly sought-after speaker before national and regional professional organizations.